When researching ancient diseases, their symptoms, and treatments, I have often been struck by the correlation between the magnitude of lives lost and the health care standards of the time. I have read staggering statistics that throughout the nineteenth century, the number of soldiers killed in battle was far outweighed by the number soldiers lost to diseases . Since then, standards of hygiene have improved tremendously, there has been a powerful push towards improving public health resources, and diseases like smallpox that plagued our ancestors are virtually eradicated. What seems to be the next epidemic though is dangerously invisible in its symptoms, but just as potent in its hold; it is one of the leading causes of death among Canadian youth from ages 15-24, and directly affects 20% of all Canadians. Just like physical health, mental health has a significant impact on our well-being, and especially among Canada’s youth, has been an increasingly prevalent concern. Two hundred years ago, mental illness was not an ailment that drew much sympathy from the public; rather, those who were mentally ill in the Western world, specifically Britain, France, and their colonies, were ostracized and isolated. In ancient times, early beliefs about what the West now classifies as “mental illness” centered on the idea that victims were possessed by evil spirits. In turn, treatments for these sorts of ailments involved the use of amulets and charms apparently imbued with magical powers. As the Christian Church gained institutional power, many individuals who used various folk remedies began to be labelled as unorthodox and became associated with witchcraft. The idea that individuals with mental illness were “wild beasts” that needed to be confined shaped treatment practices for hundreds of years – from institutions like the Bethlem Hospital that isolated the “insane” in the thirteenth century, to the Salpêtrière Hospital that was built in the seventeenth century. The close of the eighteenth century brought a shift in attitudes in Europe. 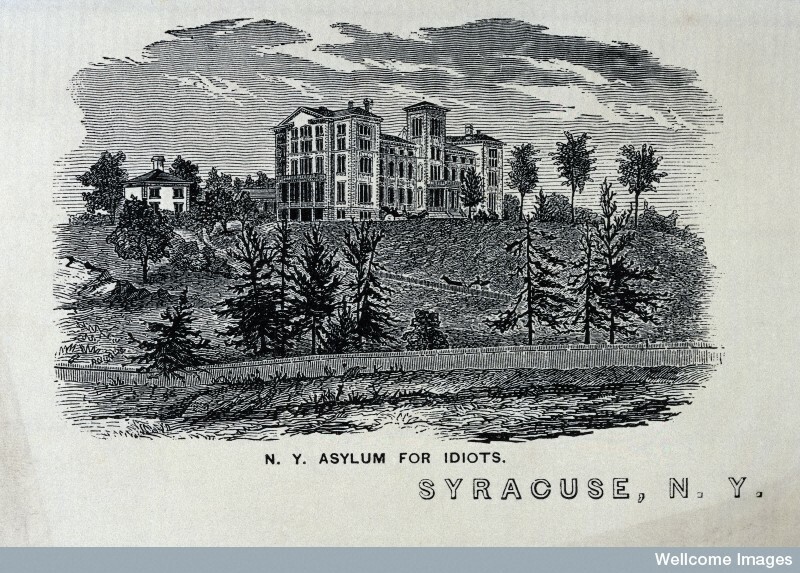 Asylums gained popularity as buildings where the “insane” could be nursed back to health and replaced “mad-houses,” which were institutions that functioned as prisons and showed little regard for patients’ quality of life. This perspective assumed that mental illness was something purely physical and, presumably, curable like physical ailments. In the nineteenth century, some physicians opened private asylums in their homes.This private option was only available to the wealthy, but signified a forward-thinking attitude; private asylums mirrored the hospitals that European reformers, Philippe Pinel and William Tuke encouraged. Pinel and Tuke advocated for “moral therapy,” or the creation of a pleasant environment as a tool to mitigate the suffering of those with mental illness. The dominant view of medical professionals at the time was that mental illness was caused primarily by a defect in the nervous system, and treatments such as electrotherapy were often sought to repair the nervous system. The nineteenth century also bore witness to physicians such as Russian-American doctor Boris Sidis begin to transform mainstream understandings of mental health by proposing that illnesses were not rooted merely in the physical, but also in causes that were psychological. Sidis’ treatment for psychological symptoms largely comprised of hypnosis, and once he believed he had access to a patient’s unconscious memories, he recounted these back to them and claimed that the awareness of these previously inaccessible memories cured psychological illness. Sigmund Freud was another important catalyst in developing the study of mental illness; his fascination with the unconscious led to treatment methods such as “free association,” whereby patients could openly discuss their emotional problems. Canadian historian Helen B. McCartney argues that World War I was a significant turning point in public understanding of mental health. The common diagnosis for soldiers having suffered emotional trauma on the frontlines was “shell shock,” a name that derives from the detrimental effects of explosive shells that were used during the Great War.The stigma attached to psychological breakdown was palpable in the post-war years; the emphasis in early occupational therapy treatments was on increasing functionality of injured limbs as well as raising morale to allow shell shocked soldiers’ to serve as fully functional members of society. 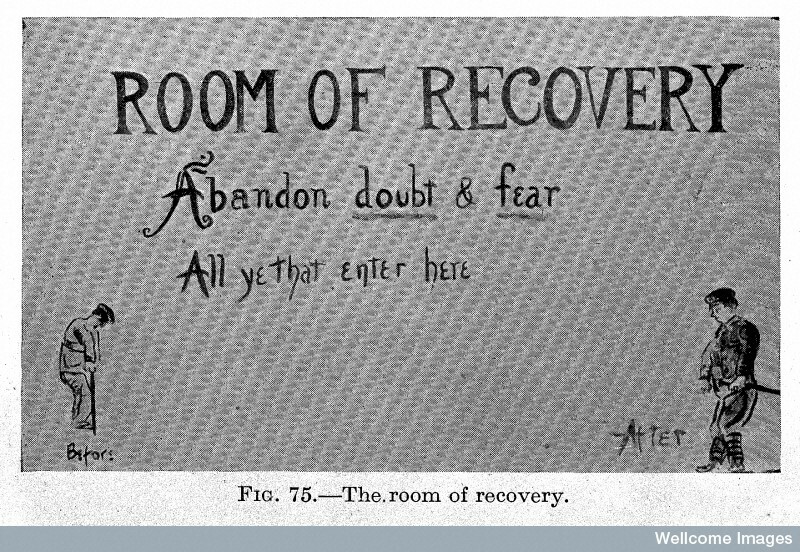 L0023551 “Room of recovery”, war neurosis. In “Restoring the Spirit: The Beginnings of Occupational Therapy in Canada, 1890-1930,” Judith Friedland argues an intersection between gender stereotyping in the twentieth-century and representations of individuals with mental illness. As she states, “The injured soldiers were thought to have been at the height of their masculinity when they enlisted, but were now dependent in a way that was then considered appropriate only for women or children.” In the decades following World War I, the longevity of psychological damage from war seemed to outlive the physical trauma that the shells could have inflicted on “shell shock” victims. By 1980, Post-Traumatic Stress Disorder (PTSD) was a diagnostic classification that recognized the enduring emotional suffering that could result from traumatic experiences. With this shift in understanding, public compassion for soldiers also increased. Today, the best tool we have for attempting any large scale changes in the way we view and talk about mental health is education. Although stigma, fear, and subhuman treatment coloured discussions and practices in past centuries, many present-day initiatives in support of individuals with mental illness are rooted in compassion. There are a growing number of Canadian initiatives such as the Jack Project that focus on supporting youth and nourishing mental health. The Jack Project is a charitable organization that was founded after the death of Jack Windeler, a student at Queen’s University, Kingston, who committed suicide in 2010. The organization’s innovative projects, like the first-ever student-led mental health innovation summit, Unleash the Noise, empowered everyday citizens to change the conversation surrounding mental health. From speculations about witchcraft and “wild beasts,” to more recent theories that argue the importance of a nurturing environment, public perceptions of mental illness have undergone several fundamental shifts, with education, awareness, and support paving the path forward. Staff at the Museum of Health Care are hoping to deliver a program that focuses on mental health and stigma in the near future. 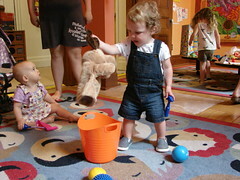 If you have any suggestions, or you would like to get involved, please get in touch with us at museum@kgh.kari.net. 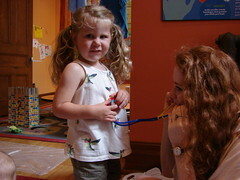 The Museum of Health Care would like to thank Dr. Jacalyn Duffin, Hannah Chair, History of Medicine, Queen’s University for supervising Julia and Lucy, and the Queen’s Summer Work Experience Program (SWEP) for their support in the creation of these positions! Canadian Mental Health Association. “Understanding Mental Health.” Last modified 2014.http://www.cmha.ca/mental-health/understanding-mental-illness/. 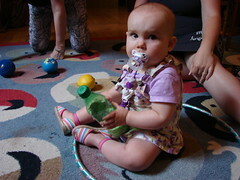 Centres for Disease Control and Prevention. “The Safe Water System.” Last modified 1 May 2014. http://www.cdc.gov/safewater/. Friedland, Judith. Restoring the Spirit: The Beginnings of Occupational Therapy in Canada, 1890-1930. Canada: McGill-Queen’s University Press, 2011. Holtzman, Ellen. “A Home Away From Home.” American Psychological Association 43.3 (2012): 24. http://www.apa.org/monitor/2012/03/asylums.aspx. The Jack Project. “Our History.” Last modified 2014. http://www.thejackproject.org/our-history. Margotta, Roberto. The Hamlyn History of Medicine. Great Britain: Reed International Books Ltd., 1996. McCartney, Helen B. “First World War Soldier and His Contemporary Image in Britain.” International Affairs 90.2 (2014): 299-315. doi: 10.1111/1468-2346.12110. 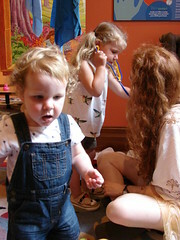 Museum of Health Care Blog, The. https://museumofhealthcare.wordpress.com/2013/09/23/a-fighting-chance-disease-public-health-and-the-military-part-1/. “Understanding Mental Health,” last modified 2014. http://www.cmha.ca/mental-health/understanding-mental-illness/. Roberta Margotta. The Hamlyn History of Medicine (Great Britain: Reed International Books Ltd., 1996), 178. Margotta, The Hamlyn History of Medicine, 179. Margotta, The Hamlyn History of Medicine, 180. Ellen Holtzman. “A Home Away From Home.” American Psychological Association 43.3 (2012): 24. Holtzman, “A Home Away From Home.” 24. Helen B McCartney. “First World War Soldier and His Contemporary Image in Britain.” International Affairs 90.2 (2014): 306. Judith Friedland, Restoring the Spirit: The Beginnings of Occupational Therapy in Canada, 1890-1930 (Canada: McGill-Queen’s University Press, 2011), 86. “Our History,” last modified 2014. http://www.thejackproject.org/about. There were lots myth associated with the mental illness in past year, but now a day we are understanding the fact associate with the mental illness and trying to find a cure for it and also to avoid the situation. This article is very much helpful for dealing with metal patient and finding a cure for it.